the place that launched my pie journey. 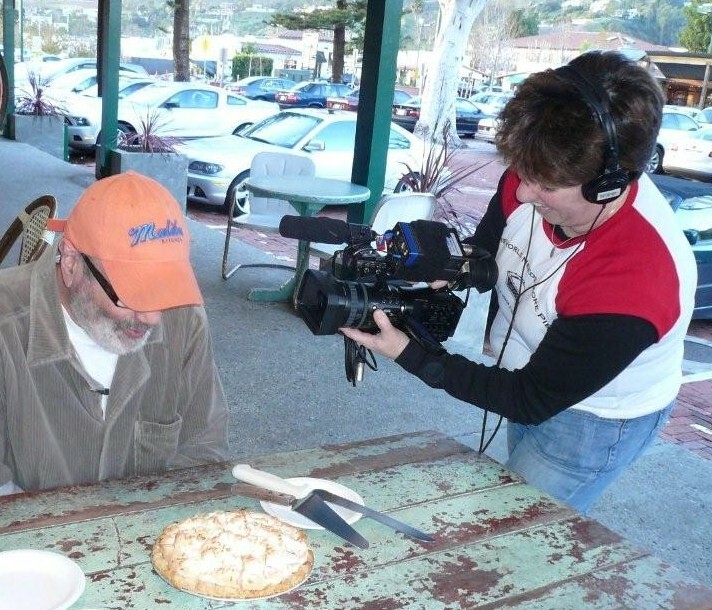 In 2010, while in the depths of despair over my husband’s death, my friend and TV producer, Janice Molinari, suggested we go on a road trip in my RV, find stories about pie and the people making them, and make a TV show about it. We traveled around California, eating massive amounts of pie, and shot the sizzle reel for “This American Pie” (see video below). It was the pursuit of additional stories for this show that led me back to Iowa, to the Iowa State Fair to be a pie judge. This led to visiting my birthplace of Ottumwa afterward, which led to discovering the American Gothic House and learning it was for rent. The rest, as they say, is history. We never did sell the TV show (though we came close several times), the RV has been retired (sold to a soccer mom to live out its days on the sidelines of a suburban sports field), and I’ve shifted my focus back to writing. After four years living in a tourist attraction, the “world’s second most famous White House” where I ran the Pitchfork Pie Stand, I have plenty to write about! My memoir is almost finished, but in the meantime, here is some footage to give you a visual taste — and make you hungry for pie.